I planned to cook street food for lunch today and my choice was Masala Pav! 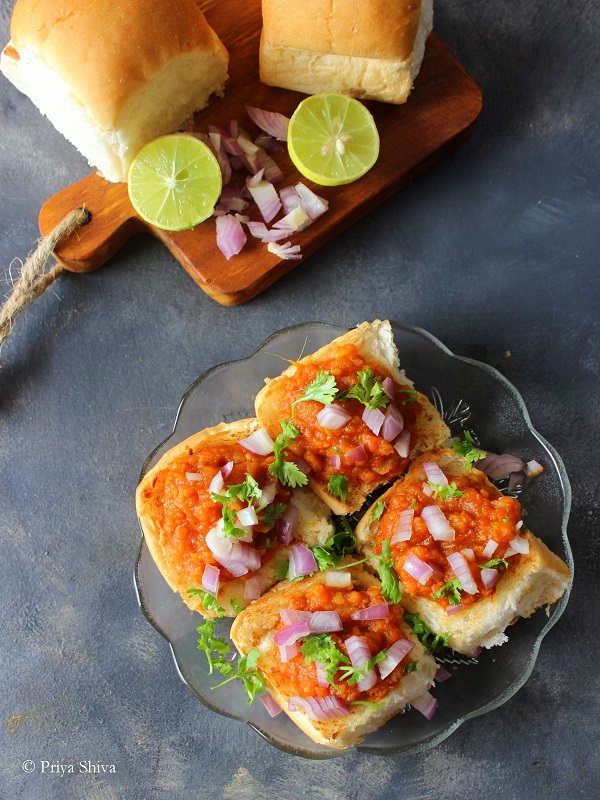 Masala pav is a popular street food of Mumbai, Maharashtra. The Masala is cooked on a griddle and topped over the toasted bread before serving. 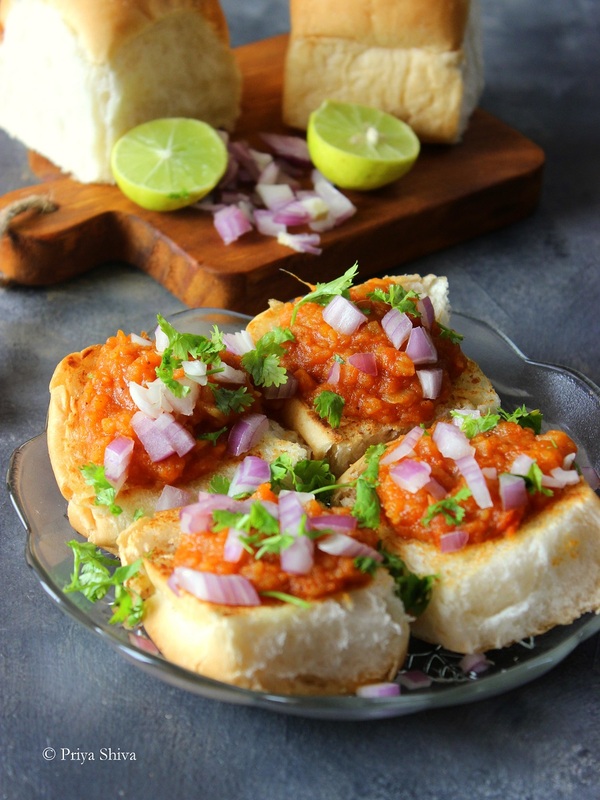 If you love pav bhaji , you will love this variation too! 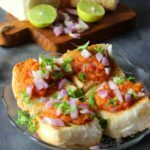 Masala pav tastes simply delicious and easy to cook too. So, check out the recipe and make it for yourself! Heat 1 tbsp butter in a frying pan. Add ginger and chopped capsicum and saute well. Now add finely chopped tomato and saute till tomatoes get mushy. Add chilli powder, salt to taste and pav bhaji masala and mix well. Now add 1-2 tbsp little water and lower the flame. Let the masala cook well. mash the masala nicely with the ladle and masala is ready. Heat a griddle. Cut pav in equal 2 halves. Toast both sides nicely with butter. Spread the cooked masala on one side and place it on a serving plate. Squeeze a little lemon juice, garnish freshly chopped onions and coriander leaves and serve. So many great flavors going on! I can almost smell it. Love that it’s ready in less than a half hour. What a great sandwich alternative. I am loving all the herbs and spices going on. I’ve never heard of this dish but it looks really fresh and delicious! 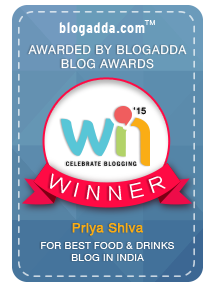 Nice recipe… i love pav bhaji…. 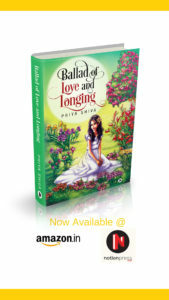 Awating for your next recipe…..
hey Priya, nice recipe for the mumbaiya style Masala Pav! Occasionally I love to cook them for my family. I will try your recipe this time (actually, can’t wait to try out). You images are also awesome.